As Harvey Fierstein preps to join the cast of La Cage aux Folles, the show that won him a Best Book Tony Award almost 27 years (!) 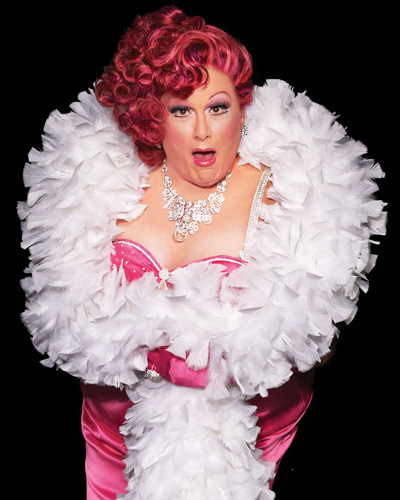 ago, fans can get their first peek at the star in character as his own special creation, drag diva Zaza. 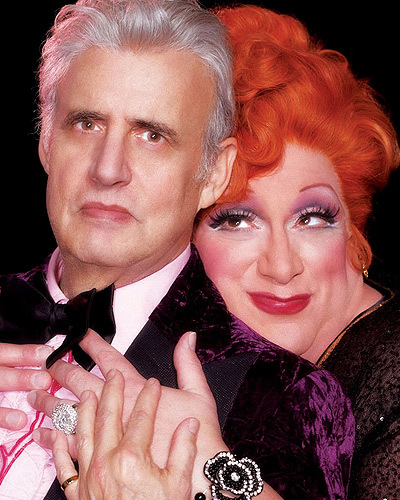 Fierstein and TV star Jeffrey Tambor are set to assume the roles of Albin/Zaza and his lover Georges on February 15 in the show's hit revival at the Longacre Theatre, replacing Tony winner Douglas Hodge and Kelsey Grammer. The two new headliners donned his-and-his wigs for a colorful photo shoot with the fabulous Cagelles. Ravishing!